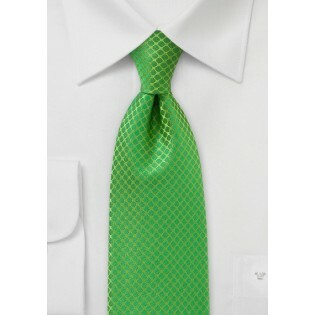 Enjoy your summer with this bold silk necktie in kelly green. 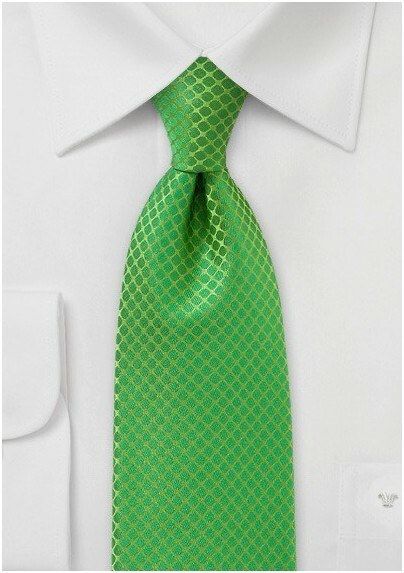 Made by Chevalier Neckwear, we think this is the perfect piece to wear in both casual and formal settings. Its subtle checked pattern keeps things simple, while the hue is a great fashion statement. Color block your ensemble with a midnight blue suit and crisp white button up. Like this pattern and want more colors choices? Check out our other shades we offer in: pumpkin-orange, sunflower-yellow, teal-blue, dark navy, and classic burgundy.